Little Big Wall is a large cliff located in the Hospital Flat area. 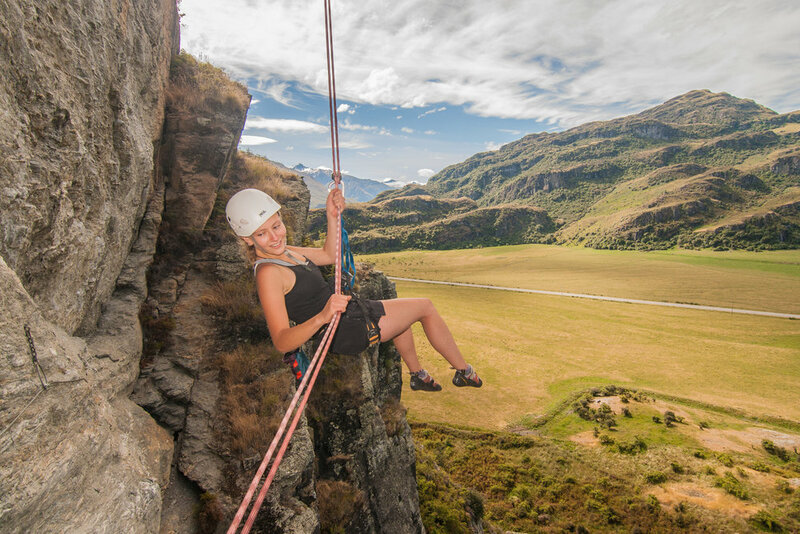 Multi-pitch climbing close to Wanaka.The Cliff is situated in a beautiful valley with great views. 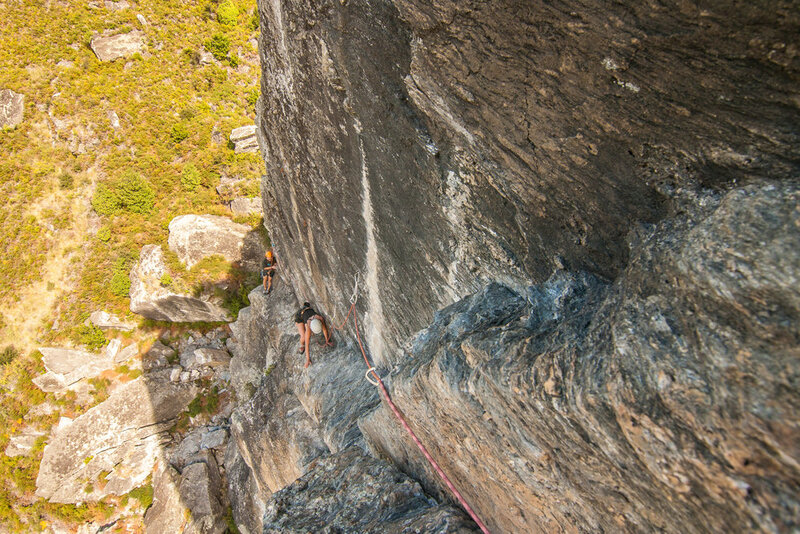 "Tune in, Turn on, Drop out" is a three pitch route that has two technical crux sections interspersed with easier but exposed and engaging terrain! 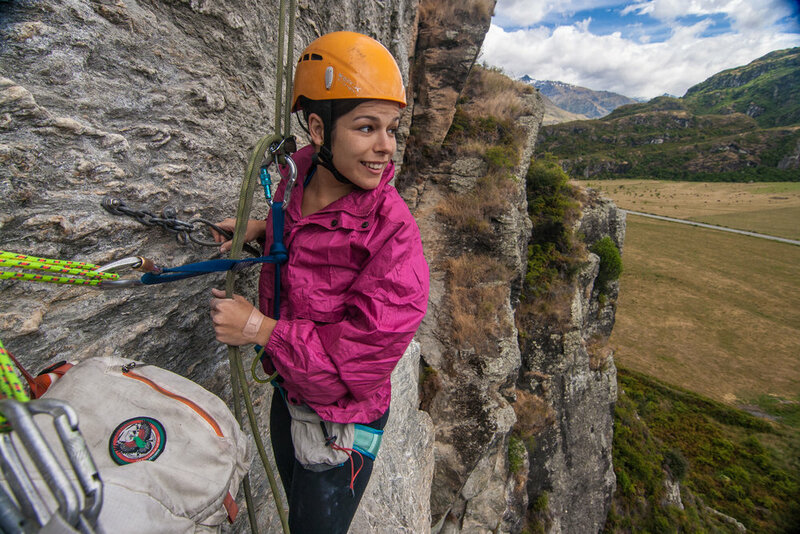 Short pitches and nice belay ledges make this route a fun introduction to multi-pitching! 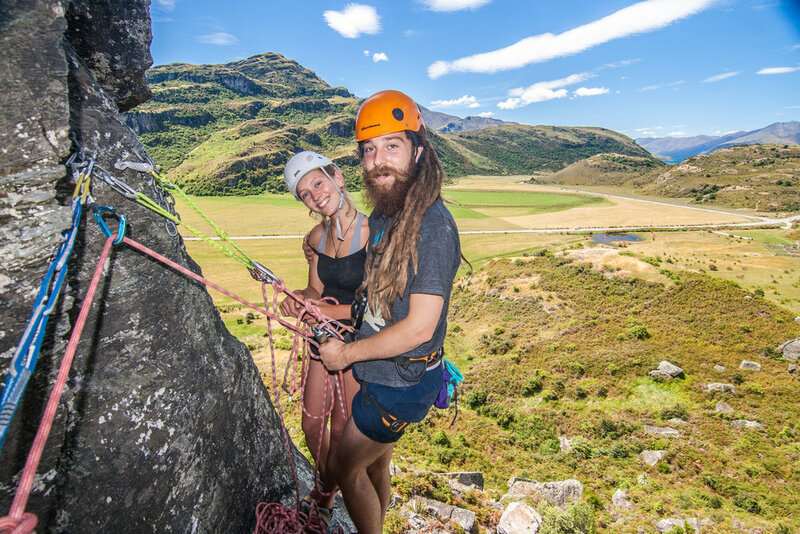 This is the shortest Mutli-pitch that Wanaka Rock Climbing guides. An easy descent via a free hanging abseil brings you back to the bottom of the route.